13 For the Lord has chosen Zion, he has desired it for his dwelling, saying, 14“This is my resting place for ever and ever; here I will sit enthroned, for I have desired it. 15 I will bless her with abundant provisions; her poor I will satisfy with food. Psalm 132 is a “Song of Ascents” meant to be sung as people are on their way to worship in the Temple in Jerusalem. They are ascending literally God’s holy hill. Zion is another name for Jerusalem. God has declared Zion God’s holy habitation. Not for the moment, but for all time. It is one thing to expertise the presence of God in a particular place. It is quite another to go to a specific location with an assurance that one will meet God there. The uniqueness of the Temple is that people who go there are promised they will meet God there. God declares it is Gods resting place forever. So for all eternity, one can go there and be close to God. God says he has desired it. We don’t often think about God desiring something. Apparently God desired Jerusalem as God’s dwelling place and resting place. The whole concept of rest makes us think of the Sabbath Day -w hen we are to rest and keep it holy unto the Lord. It may be a new thought to envision God at rest on that day, as well. This does not mean that God is not at work. God says God will abundantly bless Jerusalem’s provisions. There will be plenty and more for the people there. To underscore this, God promises to satisfy the poor with bread. Bread is that staple that is expected to be p[art of any meal. Even so, sometimes it is hard for the poorest of the poor to find bread. Famously, when Queen Marie Antoinette was told that the poor had no bread, she said “Let them eat cake.” It probably didn’t happen, but it is an example of the gap between the poor and the wealthy. In Jerusalem, the poor will have their bread. God will see to it. Where do you experience God most closely. Please describe. Why do you think God chose a particular place to be close to God’s people? Do you have a favorite kind of bread? Tell us about it. What does the promise of bread for the poor tell you about God? What will that bread do for them? Jesus is teaching about himself in this passage, and he makes one of his famous “I am” statements: I am the Bread of Life. The whole point of this passage is that while earthly bread nourishes earthly life (all of which will pass away), Jesus has been sent so that we might come / see / hear / learn / trust / eat the bread from heaven / the true bread that gives eternal life. What he is interested in, with every person and group he encounters in the Gospel of John, is initiating a dialogue that can lead to a faith that is the beginning of a relationship.” He is clearly identifying himself as the new creation. The new garden. The new tree. The new fruit. The new bread. According to Bible scholar Raymond Brown, to take in someone’s ‘body and blood’ could, in Hebrew understanding, mean something as simple, and uncontroversial, as accepting the whole person.” When we seek to follow in the footsteps of the faith that enabled Jesus to give up his life for the life of the world, it frees us for a whole new way of living, one that is motivated by compassion and giving, by mercy and caring, by faith and hope and love. We have to open ourselves to receive the gift. Heaven is no ‘free lunch;’ it will cost Jesus his life. Feeding on this bread will bring us as well to the cross. When you think of fresh bread, especially home-made bread, what types of stories, memories does it bring forward? The memories of a home or bakery and the smells of fresh bread, usually bring warm and pleasant memories. How might Jesus as “The Bread of Life” be analogous to your stories and memories? How does the image of Jesus as the Bread of Life speak to you? Have you ever pictured God resting? Why do you think God might want to rest? 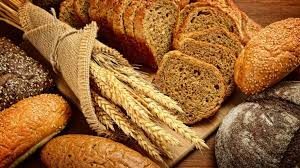 How do we “feed on” the Bread of Life? How can a congregation bring forth the same pleasures for visitors as one might expect to find when they walk into their mother’s kitchen when she is baking something like bread?